Excessive moisture is often the cause of mold growth, so paying close attention to a unit's HVAC and plumbing systems can make a big difference. 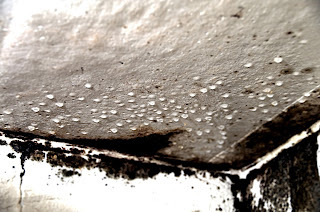 Look for moisture where you'd expect, like in the bathroom or kitchen, but in the unexpected places, too - like in crawlspaces and attics. Every bathroom should have an exhaust fan, plain and simple. If yours don't, you're just asking for mold growth! Fix leaks as soon as they're spotted. Whether you find a leak while inspecting a unit or a tenant voices concern to maintenance about a leak, you need to leap into action - and quickly. Maintain your gutters to prevent clogs, and keep an eye on thunderstorms. They can highlight leaks you never knew existed!